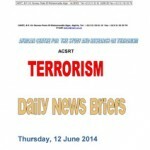 7th December 2014: The 8th Focal Points Meeting of the African Centre for the Study and Research on Terrorism (ACSRT) is underway in Algiers, Algeria. 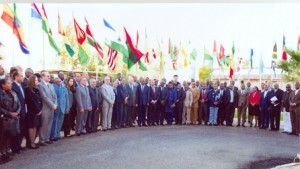 H.E Ambassador Boullah Ould Mougueya, in representation of H.E President Mohamed Ould Abdel Aziz, current chairman of the African Union, and H.E Ambassador Smail Chergui, Commissioner for Peace and Security of the African Union Commission, were in attendance. 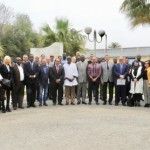 They saluted the ACSRT on its 10th anniversary and congratulated it for its achievements in the promotion, support and coordination of Member states efforts in the prevention and combating of terrorism. 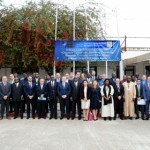 Jointly organized by the ACSRT and the Committee of Intelligence and Security Services of Africa (CISSA), the meeting has brought together ACSRT Counter-Terrorism Focal Points from 46 AU Member States in addition to representatives of International Organizations, Regional Economic Communities and Regional Mechanism. The UFL was also represented at the meeting. 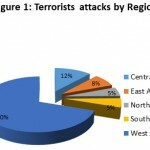 During the three day meeting, the AU Member States will consider the report on the activities of the ACSRT, adopt its annual activity plan, and review the current terrorism situation on the continent.